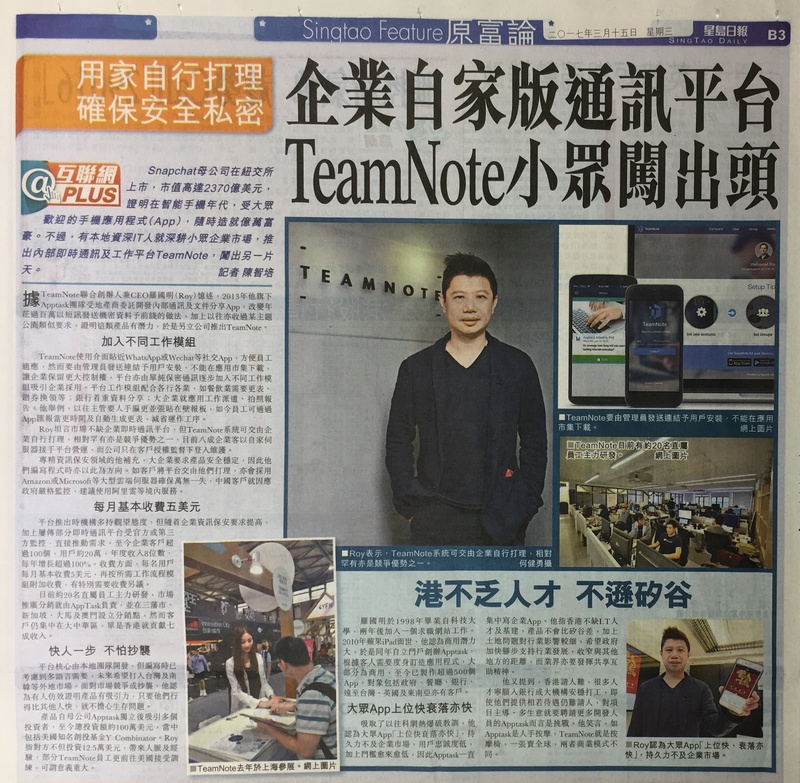 TeamNote gains another victory in application field and we are proud to be praised by Sing Tao Daily. TeamNote offers secured enterprise communication application for wide variety of enterprises. The application not only gained reputation in business market, but also appreciated by media, which recognised our strong capability in technology and our effort.